I made this for a very special friend. 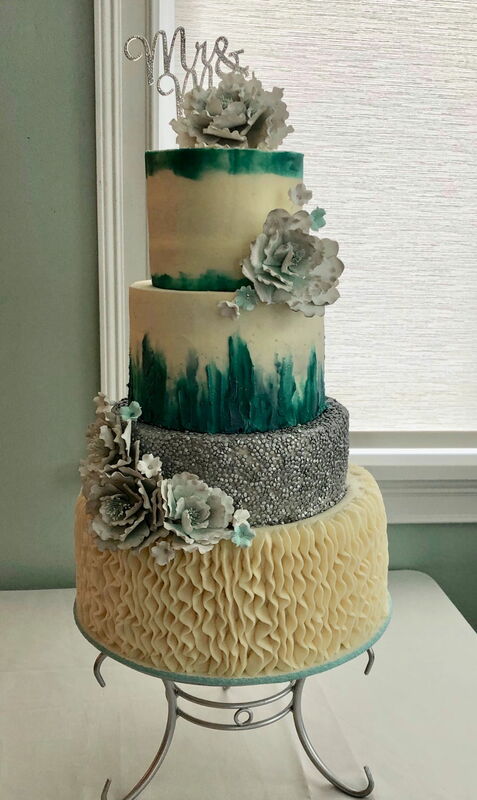 It is all buttercream with gumpaste flowers and silver sequence. The design and palette are GOOOORGEOUS!